It was finally time to embark on a romantic vacation where there would not be a table of one. 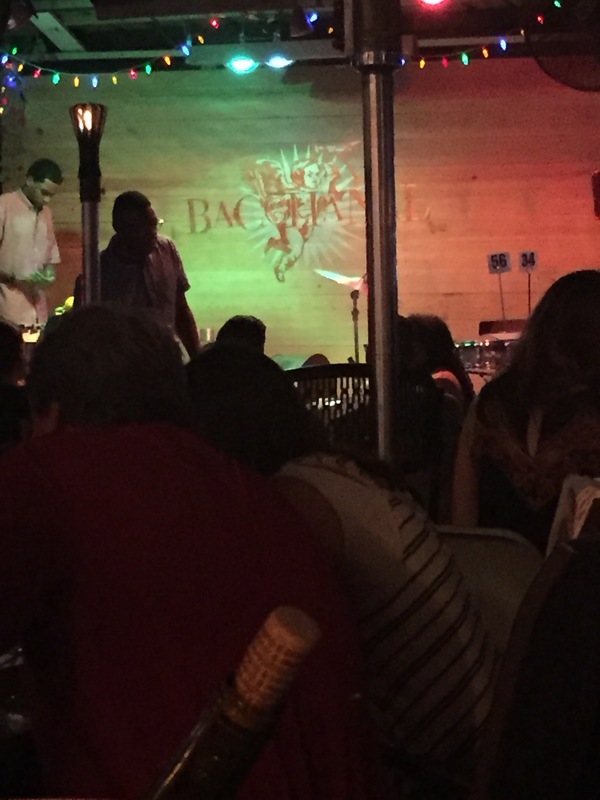 A long weekend in New Orleans was just the ticket with equal amounts of relaxing and exploring. Oh and of course eating. At the beginning of this trip, I thought I might come home and need a detox from champagne, but no, turns out fried alligator is a vice, too. Really. The Gentleman had booked us at the beautiful Hotel Monteleone. All French exterior and roof top pools, I was pretty happy. As for the hotel bar, well, it was a working carousel. So you ride around the room, sipping your cocktail. Seats were hard to come by, but I had made a few rounds on a night or two. 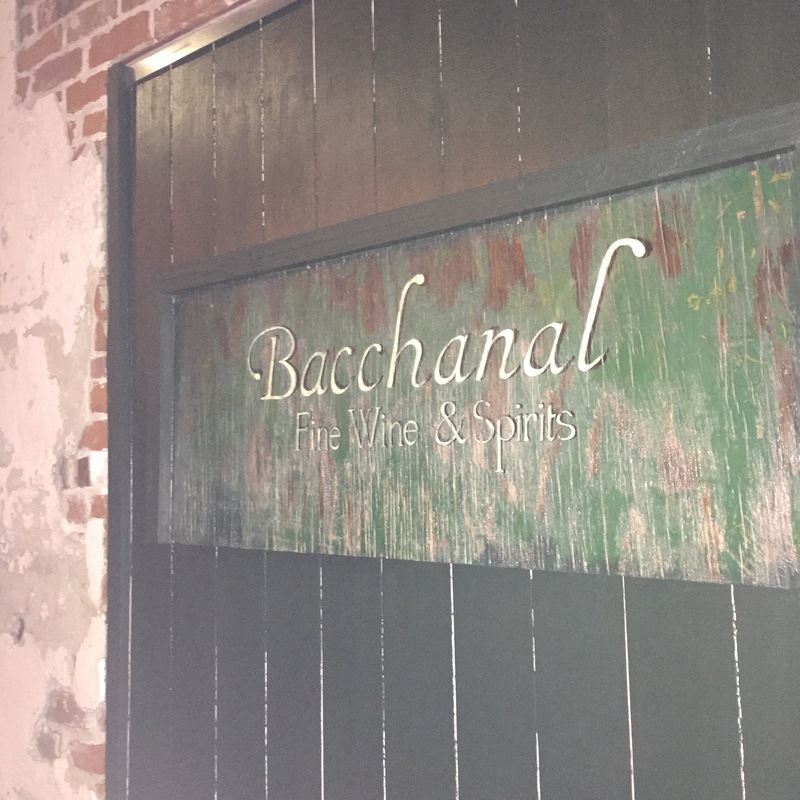 The first night we found ourselves at the very festive, Bacchanal. 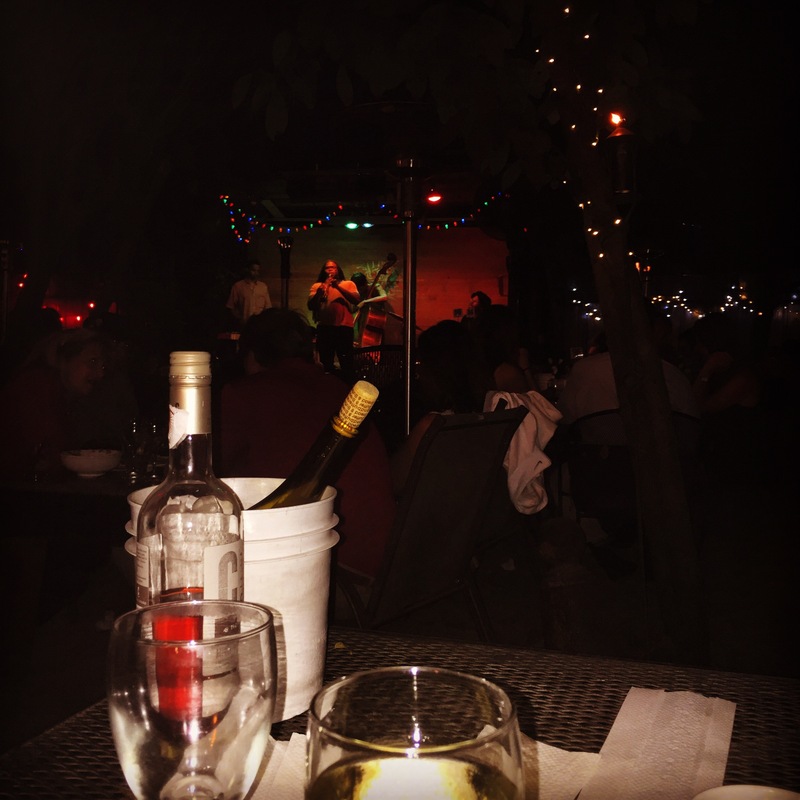 Picture patio furniture and a gravel backyard where a rickety looking stage supplies you with some killer jazz under the moonlight and twinkling fairy lights throughout the trees. Yep, totally awful. To make matters worse, there’s a wine and cheese store on premise where you pick up whatever your palate is feeling. You order small plates directly at the kitchen window. The vibe is beyond chill and reminds me so much of Lagniappe in Miami. I was a happy clam. The next day brought fried alligator for brunch as Masperros. It’s where my problem started. 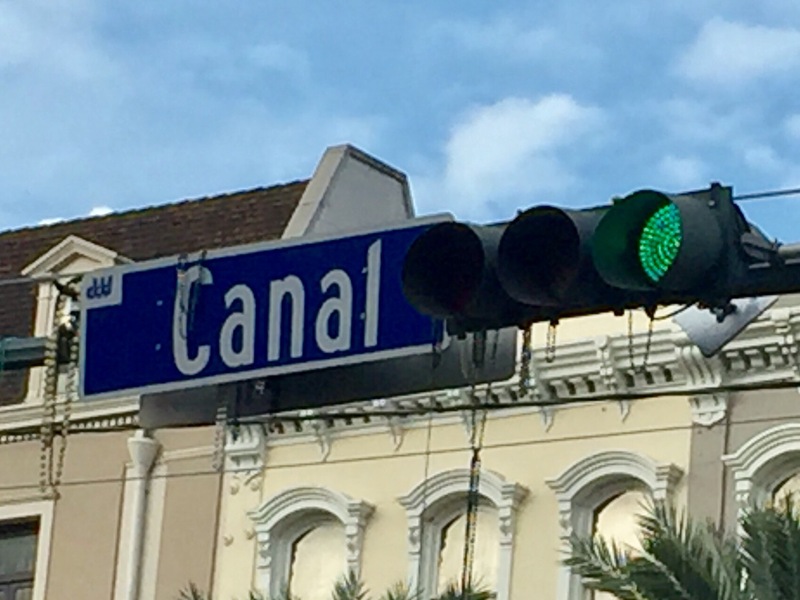 Then, strolls through the French quarter, where even the street signs are adorned with beads. We stumbled upon a shop that specialized in antiques from Provence and their courtyard was like something out of my dreams. As was their case upon case of vintage Chanel. 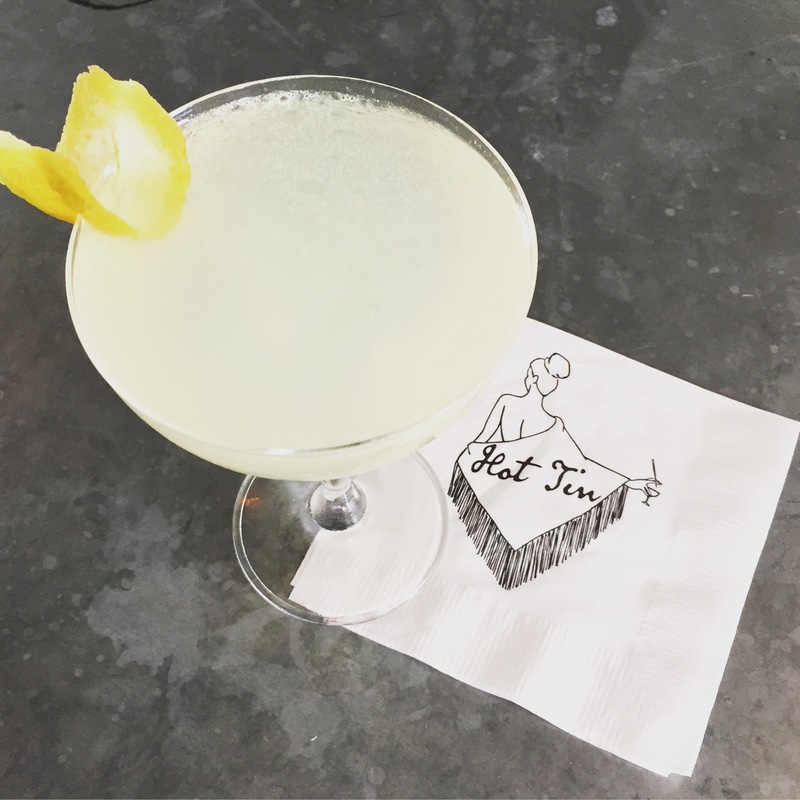 I then had to clue the Gentleman into my love affair with drinks on top of things and found this tremendous cocktail bar called Hot Tin on top of the Ponchatrain Hotel. The elevator button alone had me swooning. 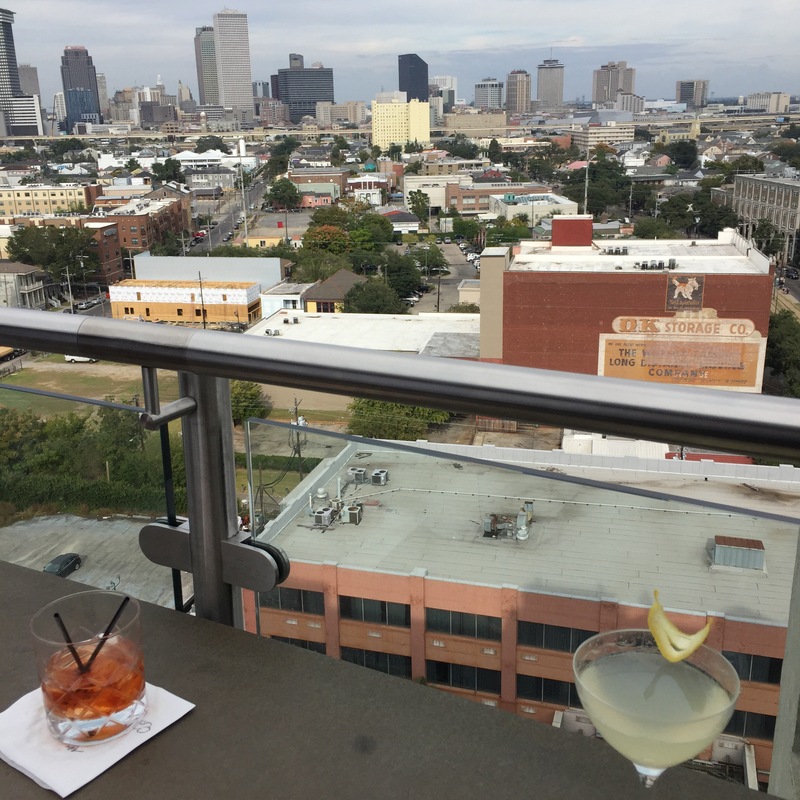 Sweeping view of New Orleans, a tart French 75, and some charming company. What better way to send an afternoon? If the day couldn’t get better, we ended with friends, dinner, drinks, photobooth antics, and discovery of an absolutely tremendous band at the Ace Hotel. The jazz quartet was Cleveland based band called Ab Abernathy and just incredible; the crowd was dizzy with their style.